Apologies that the post is a day late. He’s written two fun little books – actually, he’s written four, but I’ve only read two – to do with being creative. When I say ‘little’, I do mean ‘little’; they're a neat little size, 6”x6”. 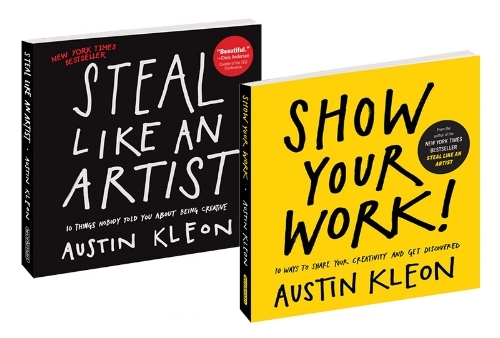 The first one, ‘Steal Like an Artist’, is just over 140 pages, and the other, ‘Show Your Work’, is about 215 pages. I read both books quickly then went back and read them again, slowly this time while making notes. Over the next few weeks, I’ve decided to share by opening up my cabinet of curiosities, mainly to do with writing. Today, my all-time favourite writing books. I can’t remember how many I bought and read when I decided to get serious about writing, but the first one that I truly enjoyed was ‘Becoming a Writer’ by Dorothea Brande. And then there’s Josip Novakovich’s ‘Fiction Writer’s Workshop’. 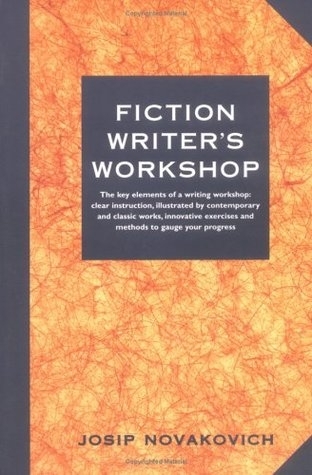 It’s a writing workshop in book form, complete with writing exercises. Even though I write fantasy, what I like about this book is that he doesn’t only use modern examples to illustrate his points, but classic literature too. What makes this book great, in my opinion, are the exercises, in which he teaches us to develop our writer's skills. Tell us why and how the man got into this predicament, and where, if anywhere, he goes from here. Objective: to work from a strange situation. Learn how to jump into the story right at its crisis moment and work from there – forward, backward, whichever way you see fit to explain what’s going on. Jane Yolen’s ‘Take Joy: A Writer’s Guide to Loving the Craft’; and no, it isn’t because it’s got my name on the cover. It’s the kind of book you can dip in and out of and even, I think, just open to a random page and go from there. The book is peppered with personal anecdotes, which only serve to show that even the pros struggle with finding lost inspiration amongst the routine of everyday life. Chapter 5 is fun - 'The Alphabetics of Story', where she lists, from A to Z, various aspects of a writer's life. And then there’s Stephen King’s ‘On Writing’, part memoir, part writer’s toolkit, and oh-so-readable.